I’ve been working with this family for a few months. The daughter is an amazing a smart kid, but has issues with maturity and a non-verbal learning disability. She doesn’t comprehend what people are saying and she will miss the bigger picture. Plus, she can be narcissistic (see here) that ties in with her ADHD. Her mother feels like she is losing a battle. 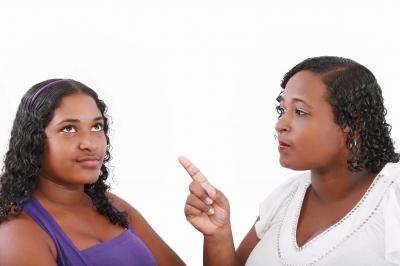 Not only is her daughter creating conflict to avoid conflict, but now she is becoming verbally abusive. Plus, the mother doesn’t feel supported by the father. When I work with parents and my philosophy as a parent is that my wife and I need to be on the same page. Even if we disagree, showing a united front helps keep things together. We will disagree behind closed doors, but never in front of our kids. If I stress nothing else to parents, there has to be this consistency. Any wavering will cause your child to find ways of getting out of things. Remember, being manipulative is a strength and a weakness of us ADHD folks. The mother needs to get her husband on board. She feels he is way too soft and gives in way too easily. This makes the mother the regular bad-cop. This needs to change. I am going to meet with both parents fairly soon to help guide them to the same page. The daughter has some legitimate concerns in regards to her relationship with her mother. Remember, her mother has to be the one guiding the ship. This makes her mother become the disciplinarian and puts her on the offensive. The mother needs to work on not always discounting her daughter’s feelings and respecting that her daughter isn’t a baby anymore. This will improve when the father is more on board. In a situation like this, my advice is to have a neutral third-party get the parents on the same page. After that is accomplished, stick to the plan. It may be difficult at first, but will pay off in the long run.